The differentiation of cambial cells into vessels or tracheids with lignified walls is triggered by auxins. Auxins will induce xylogenesis in a number of plant tissues and, as in all other hormone mediated processes, there may also be a requirement for gibberellins and/or cytokinins (Sugiyama and Konamine, Cell Differentiation Dev. 31, 77, 1990). Explants of Jerusalem artichoke (Helianthus tuberosus L.) tuber have been shown to develop wound vessel members (WVMs) on a nutrient agar containing an auxin. The addition of cytokinins and gibberellins alters the arrangement of the tracheids (Dalessandro and Roberts, Am J Bot. 58, 378, 1971; Dalessandro, P Cell Physiol. 14, 1167, 1973). 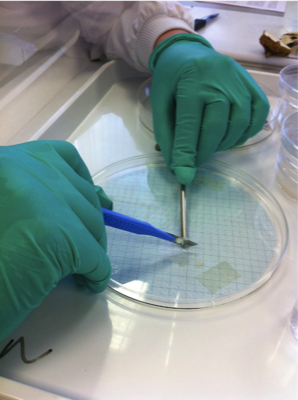 In this practical, you will produce sterile explants and grow these on different hormone-containing media. A week later, you will stain differentiated xylem elements, record patterns within the explants, and quantify the extent of differentiation under the different treatments. Shininger, AnnRev. Plant Physiol. 1979 30:313-37. The contribution of auxin and cytokinin to symmetry breaking in plant morphogenesis. The induction of xylogenesis in the plant tissue discs is an example of spontaneous patterning - triggered by feedback and communication. 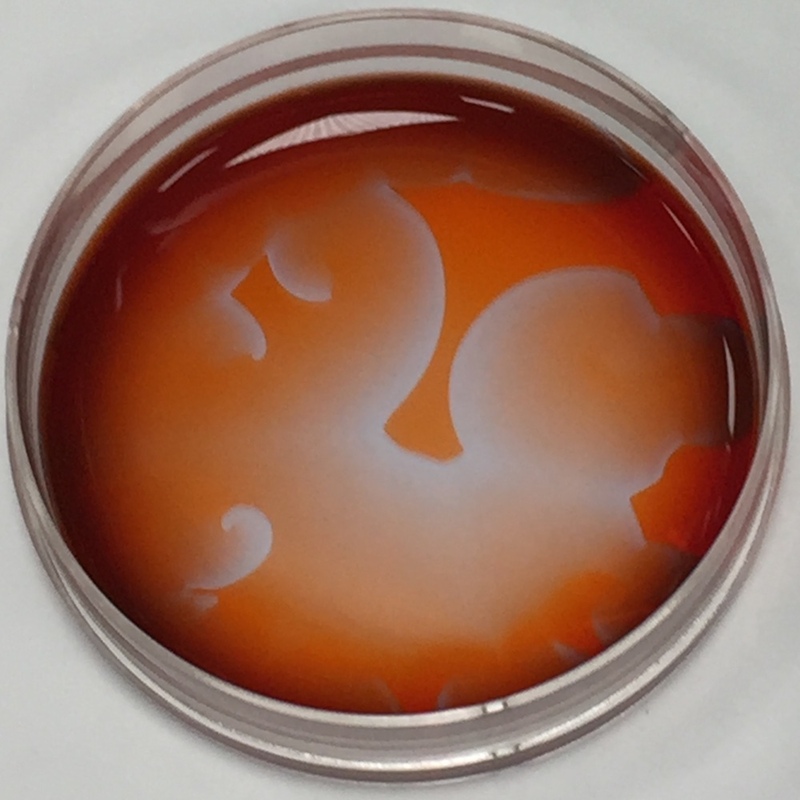 The practical will also demonstrate analogous processes occurring during the Belousov-Zhabotinsky reaction.